The best way to describe what it felt like to show the film for the first time is that I felt just like I did on my wedding day. Nervous, a little scared and all those second thoughts etc, but ultimately knowing within myself that this is a really cool thing to do. What I found really interesting about showing the film for the first time, was sitting there in the dark watching the film we had MADE, as apposed to the film we were MAKING. It was a really different headspace to be seeing it in. As everything to that point had been about making the film the best it can be. I felt this particularly in the 3rd screening on Sunday when my heart wasn't pumping as hard as it had been in previous screenings, I was able to sit back and look at all the decisions we had made over the past year. And in particular mid way through the edit where we really shaped alot of the film and gave Last Ride structure. These were the decisions that felt the most important now, not the smaller and far more obsessive sound and grading tweaks we had been making over the past few months. I've learnt alot in that regard. It was really nice to share the film with other people. Like I said in an earlier post, it's been a really insular experience, and to finally hear and see people react in the cinema around me was the exciting part. And of course the after party, the handshakes, hugs and the congratulations were nice to. Very cool to have so many people come over to Adelaide as well, I really appreciate that! Although I never felt I was able to talk to everybody there properly. Also like my wedding day. 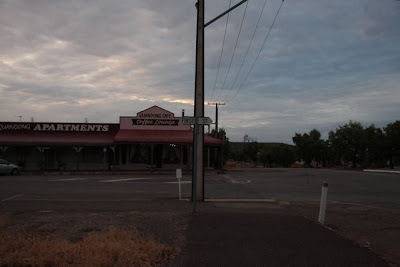 After the Friday night, Nick, Antonia, Paul C, Hugo W, John Brumpton, Tom and partners traveled up to Port Augusta where we showed the film to a whole bunch of people who helped us make the film from in and around the area. It was great to see some of the friends we had made along the way again. It was a really different audience as well, mostly people who wouldn't get to see a film like Last Ride, but they really enjoyed it and it was great talking to them afterwards. One guy hit an emu on his way to see the film (he drove for three hours!). You know your in the middle of nowhere when you hit an Emu on the way to the cinema. We then all stayed up in Quorn, where we shot a big chunk of the film. I really love that little town. Then the five hour drive back to Adelaide, this time via the Clare Valley, I've never been that way before. Such a good drive. The Quandong Cafe in Quorn. Best scones, ever. 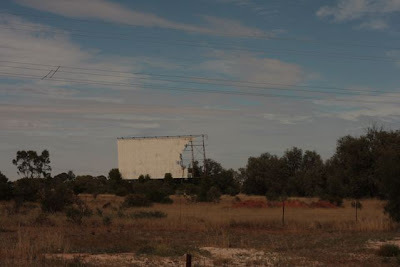 On the way back down to Adelaide we passed through this really small town that had a run down Drive-In. Someone was living in the old snack bar / projection room. It would be pretty cool to live in an old drive in. I think over the five days I was in Adelaide I had about 12 hours sleep. Pretty exhausting on all levels. Had a great time though, The Adelaide Film Festival is one of the best film festivals I've been to. And not because Last Ride was showing, it just has a good feel, and a most importantly a really diverse, but incredible selection of films. I'd love to go back and lose myself in the programme one year.